Moore Township residents only are invited to deposit tree branches behind the borough building to be collected by the First Regional Compost Authority. Recently, individuals from outside Moore Township borders have been dumping their tree materials, which is prohibited. Much of the debris being dropped off by these individuals has attracted lantern flies, branding the piles as contaminated. The FRCA will not transport these materials due to the bugs, which will eventually affect the borough building. Surveillance cameras will be watched closely for individuals entering the property. Fines will be distributed accordingly. Allen Van Norman, a Moore Township resident for over 30 years, has run into issues with recent rainstorms. Van Norman’s property at 3420 West Walker Rd. has been experiencing flooding due to rain runoff. Asphalt on surrounding streets has been swept away, channeling most of the water into Van Norman’s horse pasture. Catch basins have been put in place but continue to collect street debris, affecting the flooding dramatically. Van Norman approached Moore Township supervisors with the recommendation that West Walker Road be fixed to avoid this issue. 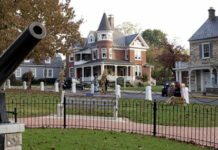 85 percent of Van Norman’s property resides in Lehigh Township while 15 percent is in Moore. The flooding issue is occurring on the Lehigh Township portion of the property. Lehigh has yet to assist Van Norman in his suggestions. Moore Township plans to contact Lehigh council members to further assess the situation. 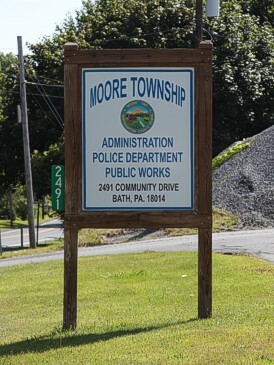 The Moore Township Police reported 239 incidents from last month. 27 traffic citations, 5 arrests, 3 reportable accidents, and 3 non-reportable incidents. The Moore Township fire company reported 7 fires, 3 motor vehicle accidents, 21 fire calls and 54 ambulance calls. Moore Township Land Preservation will be hosting their open house on November 8 at 7 p.m. The next supervisor meeting will be held on November 5.